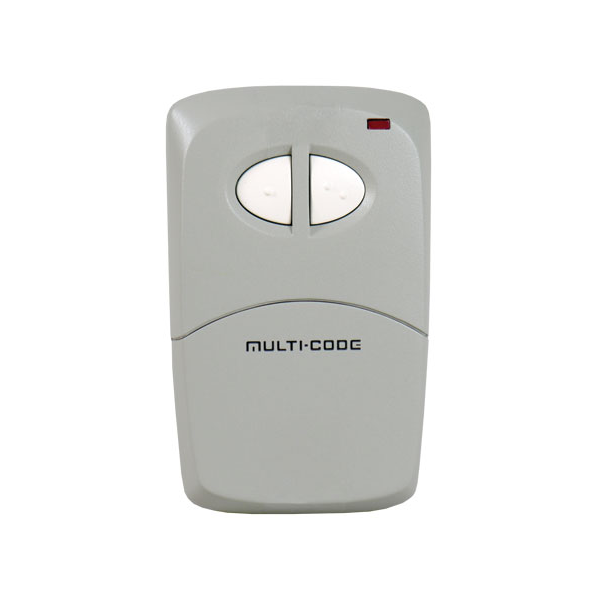 This is a Linear Multi-Code 412001 Two-Channel Visor Remote. It is a two-channel device. Pressing the left button on the transmitter will send a channel-one signal. Pressing the right button on the transmitter will send a channel-two signal. The buttons feature raised dimples for easy or vision-impaired identification. The transmitter has a red test/operate indicator and is powered by a 9-volt battery. A visor clip is included.